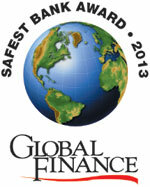 Global Finance presents its annual ranking of the World’s Safest Banks. There are few changes at the top, showing the stability of the highest echelon of banks. The safest 10 banks in the world are all European, just as they were last year and the year before that. However, in all but one case, that safety arises largely as a result of ownership by a European government or sponsorship by government-related entities. 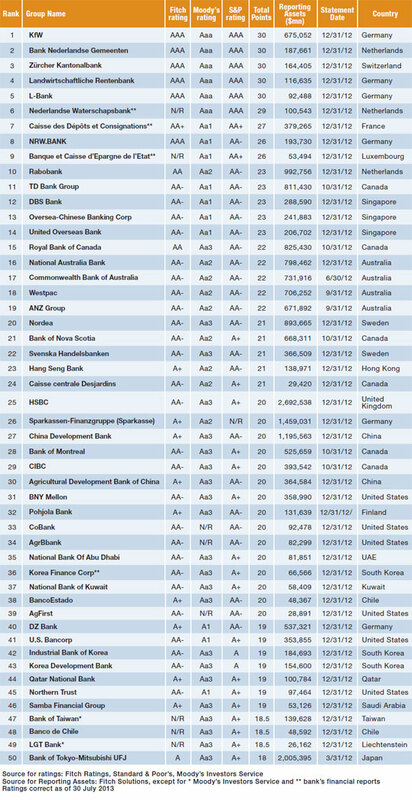 Of the 10 banks that lead this year’s rankings of the World’s Safest Banks, only one, Rabobank, is privately owned. 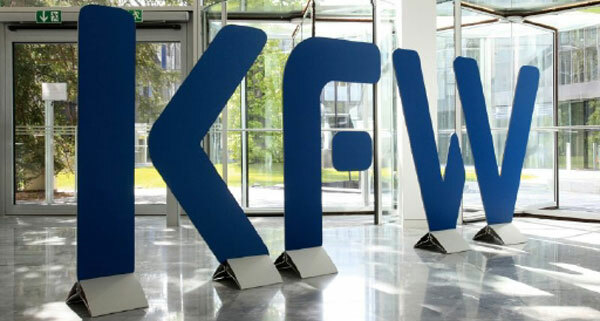 As in recent years, Germany’s KfW heads the rankings, though four other institutions also have AAA ratings from Fitch, Moody’s and Standard & Poor’s (S&P): Bank Nederlandse Gemeenten, Zürcher Kantonalbank, Landwirtschaftliche Rentenbank and L-Bank. No privately owned bank holds a Triple-A rating from any of the three agencies, although four have an Aa1 from Moody’s: TD Bank Group and the three leading Singaporean banks, DBS Bank, Oversea-Chinese Banking Corporation and United Overseas Bank. 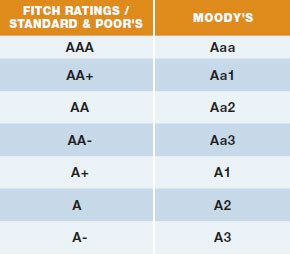 Neither Fitch nor Standard & Poor’s assigns AA+ ratings to any private bank. In some ways, Global Finance ’s rankings of the world’s safest banks have changed little over the past two years. European banks predominate, accounting for a third of all banks listed in the top 50. North American banks account for about a quarter of the total, split equally between American and Canadian firms. Asian banks follow closely behind, leaving Australian, Middle Eastern and Chilean banks to occupy the remaining positions. There is a key underlying change in the list this year: the strength needed for inclusion. Banks needed to show a minimum of 18 points to be included in the top 50—implying average ratings a little higher than A+. This point score minimum is the same as the two previous years, but only one 18-point bank made the top 50 in 2013, versus four last year. Also, the base asset level for inclusion in the top 50 has risen, as have the assets required to make the top 500 global banks—our cutoff for consideration. An even more fundamental change can be seen in the list itself. Many of the strongest banks of previous years—all of them household names—are now well short of the rating level needed for inclusion in the top 50. In 2011, Santander was ranked 10th, with three AA ratings. Just two years later all three agencies have Santander in the BBB range, and it is off the list altogether. BNP Paribas was ranked 15th in 2011 and 46th last year, but this year falls well short of the rating level needed to remain in the top 50. In contrast, three Singaporean banks have been steadily moving up the table. They were ranked 19th, 25th and 26th in 2011 and moved up to 12th, 13th and 14th this year. In the case of Oversea-Chinese Banking Corporation and United Overseas Bank, the uplift was aided by an upgrade from S&P. Korean banks have also improved their showing and now contribute three banks to the top 50. Canadian banks continue to show well, with TD Bank Group holding its 11th position in the rankings. Five other Canadian banks are included in the top 50. Four Australian banks make the list, all of them holding the same AA range ratings. New Zealand’s Kiwi Bank is not included this year because its asset size fell short of that required to be included in the largest 500 cutoff. If Kiwibank had been big enough to be included, its ratings would easily have taken it into the top 50. Bank of New York Mellon remains the highest-ranked US bank at 31. US agricultural banks AgriBank and AgFirst enter the lists for the first time (at 34 and 39) after we broadened the definition of eligible banks to include all agricultural financing entities. We continue to exclude asset holding companies and “bad banks” whose purpose is to dispose of tainted assets rather than operate a fully-fledged banking business. Bank of Tokyo Mitsubishi UFJ claims the last place in the top 50 rankings, with 18 points and $2 trillion in assets. 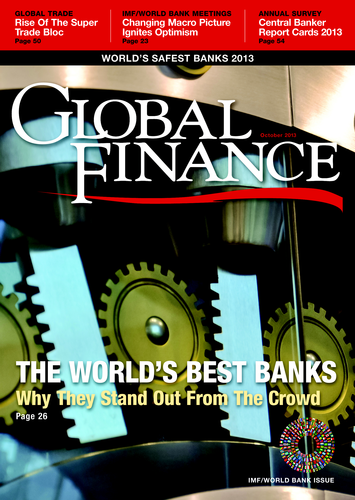 Fourteen other banks earned 18 points but are ranked below Bank of Tokyo Mitsubishi UFJ because of their smaller asset size—including Wells Fargo, Standard Chartered, Banque Fédérative du Crédit Mutuel, SEB, DnB, Swedbank, State Street, National Bank of Canada, Shizuoka Bank, National Commercial Bank, Al Rajhi Bank, Suncorp Metway, Banco Santander Chile and Riyad Bank. Outside the developed markets, the rankings show a lot of consistency with previous years. Chilean banks continue to dominate the Latin American list, and Czech and Polish banks dominate the Central and Eastern European list, though Russian banks continue to score highly enough to be included in the regional top 10. National Bank of Abu Dhabi continues to lead the Middle East and Africa list. National Bank of Kuwait has the same ratings as NBAD but is placed second based on asset size. All the banks in the Middle East and Africa regional list are based in the Gulf states. No Middle East banks outside the Gulf Cooperation Council come close to reaching the top 10, and as in previous years, no African banks are rated highly enough to be included. To be eligible for inclusion in the Safest Banks listing, banks must rank among the largest 500 in the world, by assets—in practice, a total size of about $20 billion is required to be eligible. Banks must also hold a rating from at least two of the three major international credit rating agencies and must not hold a sub-investment-grade rating from any. Ten points are awarded for an AAA rating, descending to one point for a BBB-/Baa3 rating. Where a bank is rated by only two agencies, an implied score for the third agency is calculated by taking the average of the other two and deducting one point. Banks that hold the same number of points are ranked by asset size, reflecting the strong correlation between bank size and ratings. The safest banks chart compares the ratings for the world’s largest 500 banks, based on asset size. Long-term foreign currency ratings issued by Fitch Ratings, Standard & Poor’s and Moody’s Investors Service were used. Where possible, ratings on holding companies were used rather than operating companies, and banks that are wholly owned by other banks were omitted. Government import-export finance institutions were also omitted. Within each rank set, banks are organized according to asset size based on data for the most recent annual reporting period provided by Fitch Solutions and Moody’s. 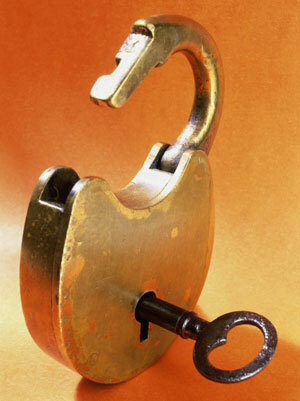 Ratings are reproduced with permission from the three ratings agencies, with all rights reserved. A rating is not a recommendation to purchase, sell or hold a security, and it does not comment on market price or suitability for a particular investor. Note: HSBC France would have qualified by ratings and assets for inclusion in the Top 50, but was excluded due to its 99% control by HSBC Holdings.